Judicial elections and free speech: The Supreme Court’s Williams-Yulee case on soliciting donations. The Supreme Court is poised to make judicial elections even more corrupt. The Supreme Court justices recently agreed to review Williams-Yulee’s case. At first glance, Lanell Williams-Yulee’s legal fight against the Florida Bar has an appealingly underdogish aura about it. In 2009, Williams-Yulee declared her candidacy for county court judge in Hillsborough County, launching her campaign with a mass-mail fundraising letter that asked for “an early contribution” to help her “raise the initial funds.” Plenty of campaigns start with this kind of gentle panhandling, of course. But Williams-Yulee was running to be a judge, and the Florida Code of Judicial Conduct explicitly states that judicial candidates “shall not personally solicit campaign funds.” Williams-Yulee was charged with professional misconduct and fined $1,860.30. The judgeship went to another candidate. Williams-Yulee was running a modest campaign for an obscure seat. But with that single letter, she waded into a controversy that pits democracy and free speech against judicial ethics and due process. That controversy will soon come to a head at the Supreme Court, as the justices recently agreed to review Williams-Yulee’s case. And when the court hears the case later this term, it seems overwhelmingly likely that the justices who brought you Citizens United will take their First Amendment bushwhacker to judicial elections. To see why Williams-Yulee’s letter tripped this particular wire, you have to understand that judicial elections are one of the more idiosyncratic and hotly debated features of American democracy. In virtually every other country, judges are appointed, not elected, to prevent angry voters from punishing them for unpopular rulings. Even in the United States, the framers of the Constitution took care to insulate federal judges from the majoritarian will, granting them lifetime appointments and shuddering at the possibility that they might “consult popularity” and “the people” instead of “the Constitution and the laws.” When it comes to picking judges, more democracy does not necessarily mean more justice. But throughout most of the United States, judges have no choice but to consult “the people” from time to time—it’s the people, after all, who gave them their jobs. Thirty-nine states put their judges up for election, forcing them to campaign on the contradictory promise that they will both respect the wishes of the people and maintain judicial independence. All that campaigning, of course, requires cash, often a great deal of it. Today, 30 states (including Florida) forbid judges from personally soliciting campaign funds, requiring them instead to set up committees to keep candidates a step removed from money matters. The premise behind these laws is that when judges beg for money, they diminish the impartiality of the judiciary. That is the premise Williams-Yulee is challenging, under the theory that the First Amendment protects her right to ask supporters for money. Her argument hinges on a contentious 2002 case called Republican Party of Minnesota v. White. Five members of the Supreme Court held that a law forbidding judicial candidates from announcing their views on disputed legal issues, which was designed to maintain an impartial judiciary, violated the First Amendment. Writing for the court, Justice Antonin Scalia held that any law restricting judicial candidates’ speech is subject to “strict scrutiny,” meaning it must be narrowly tailored to serve a compelling state interest. Minnesota’s law wasn’t narrowly tailored because a candidate could speak out on legal issues, at least according to Scalia, without showing “bias” or “favoritism” toward the party that supported those issues. For instance, in this interpretation, a candidate could explicitly state his opposition to abortion rights without intimating that he would be biased against a plaintiff challenging a restriction on abortion. (The dissenters scorned this logic as willfully naive nonsense.) Besides, Scalia wrote, preserving impartiality (and the appearance of it) wasn’t even a compelling state interest: Every judge has his own biases when he arrives on the court, and “pretending otherwise” is useless. The obvious implication of the White decision is that judicial elections should be treated exactly like legislative elections for constitutional purposes. A congressional candidate can express her opinions on whatever topic she wants, why shouldn’t a judicial candidate? The justices hedged on this point in White, but dozens of lower courts have since picked up on it, striking down a variety of laws that prevent judicial candidates from stating certain beliefs on the campaign trail. Intriguingly, federal judges—who never face election—are vastly more likely to strike down laws regulating judicial campaign speech. State judges—most of whom face election themselves—are overwhelmingly more likely to uphold them. Those judges with firsthand experience of the campaign trail, then, seem more attuned to the threat that judicial elections can pose to the impartiality of the bench. Four members of the White majority had never stood for election. One had—Justice Sandra Day O’Connor. Tellingly, O’Connor wrote a concurrence in White to distance herself from the flippancy of the majority opinion. “I am concerned,” O’Connor wrote, that “the very practice of electing judges undermines [the] interest” of an “impartial judiciary.” The practice of electing judges struck O’Connor as inherently contradictory to judicial impartiality because elected judges “cannot help being aware” that casting an unpopular (but legally sound) vote could “hurt their reelection prospects.” Even worse, judges who accept campaign contributions may feel “indebted to certain parties or interest groups”—and even if they don’t consciously rule as their donors would wish them to, the public might still think their judges have been bought off. All of these concerns are present in legislative elections, too. But they’re magnified in judicial elections because judges regularly decide cases that involve life and death, or at least liberty and incarceration. In White, Minnesota was concerned that a candidate might, for instance, announce his support of capital punishment, then feel bound to send more criminals to their deaths. In Williams-Yulee’s case, the stakes are somewhat less dramatic, but still unnerving. Imagine a donor had responded to Williams-Yulee’s letter with a $1,000 check, the maximum under Florida law. In a local race, that money could make the difference, and so Williams-Yulee would probably thank the donor personally and invite him to special events. Now imagine that the same donor found himself in her courtroom a year later, charged with embezzlement. Is it realistic to believe that Williams-Yulee could rule with total impartiality in a case involving her most generous contributor? Five members of the Supreme Court would almost certainly say yes. In a 2009 case called Caperton v. A. T. Massey Coal Co., the four most conservative justices argued that a judge could surely rule impartially in a case involving a party who donated $3 million to his election. Justice Anthony Kennedy balked, joining the liberals to hold that the judge needed to recuse himself to ensure due process for both parties. But Kennedy’s views on due process and free speech are miles apart, and there seems little question that he’d approve of judicial candidates personally soliciting, and receiving, vast sums of money for their campaigns. In fact, Kennedy has written that laws regulating judicial speech should be presumptively unconstitutional—even if they survive strict scrutiny. Given O’Connor’s absence and the Roberts court’s deregulation fever, Williams-Yulee has good reason to believe she’ll win her case. And, truth be told, letting a county court candidate personally solicit $1,000 or less won’t singlehandedly undermine the judiciary’s impartiality. What’s more concerning is the precedent it sets. 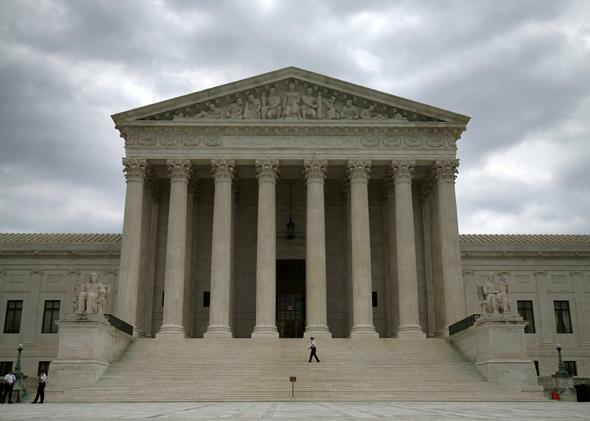 The Roberts court excels in planting time bombs in minor cases that explode a few years later. This term, the conservative justices may find a First Amendment right for judicial candidates to ask donors for money. Next term, they may find a First Amendment right for donors to give as much as they want. That’s how the court worked its way to Citizens United, which has turned congressional elections into a money-grabbing free-for-all. And since five justices already seem to view elected judges as politicians in black robes, there’s good reason to believe that the Citizens United of judicial elections lies just down the road.